Gili Islands spoiled me in so many ways that after visiting several renowned paradise islands, I still haven’t found their rival. It’s all about an ideal mix of laid-back feeling, stunning underwater world, and dreamy sunset views from the sleepy beachside berugas. It wasn’t love at first sight, though. We came from a lush city of Ubud, which treated us with amazing, but affordable meals and distinctively Balinese atmosphere. Sure I was stunned to see just the right tone of turquoise sea against powdery white sand, but at first, Gili Trawangan felt like a backpacker hell with drugs, hawkers and over-priced food and drinks. You know that feeling of betrayal on arrival when you face reality instead of those picture-perfect paradise island dreams that you’ve been cherishing beforehand? 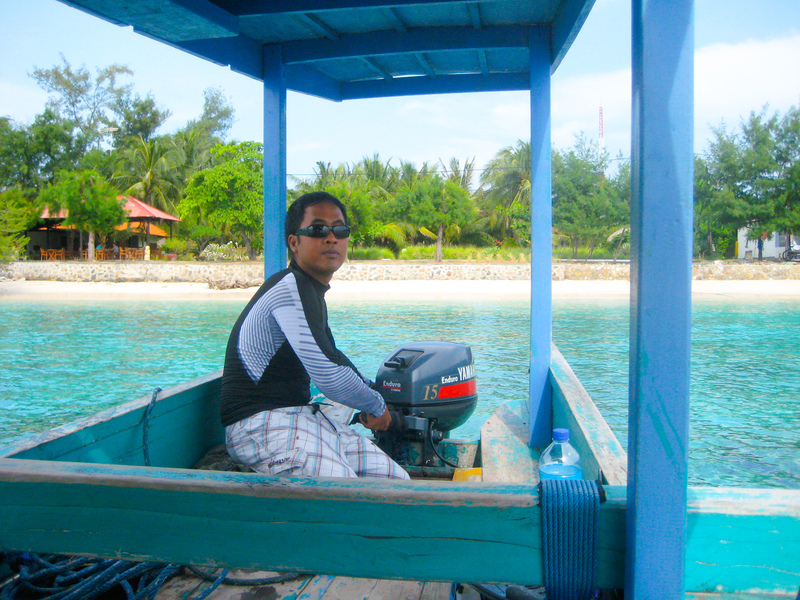 We took a speedboat from Padang Bai (Bali) to Gili Trawangan. The journey lasted around 2,5 hours, as our boat was one of the quickest. Because sea might be quite rough and boats do sink time to time, it’s wise to choose a reputable company. I felt a bit nauseated like I quite often do in a rough sea, but gorgeous views of Bali’s Mt Agung and Mt Batur over misty, green hills compensated my agony. 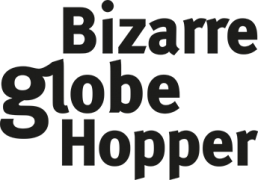 When the three Gilis came into the horizon, each islet had funny little clouds above them. 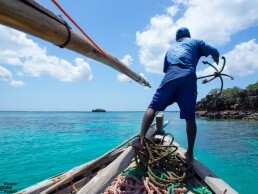 Boats dock offshore, so we dipped into knee-deep water – what a perfect way to enter island life! I was grinning happily already. 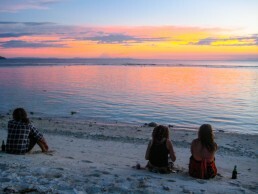 Our first night in Trawangan was filled with minor disappointments. The food was bland and expensive by Balinese standards, the “town” itself wasn’t a beauty nor did our hotel match up to those we had in Bali. 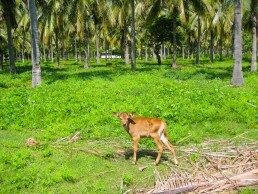 Nevertheless, before the night had fallen, I was already fascinated by the simple pleasures of island life. I learned to love Trawangan’s backpacker vibe with a myriad of beach bars to choose from, although we are not party people. 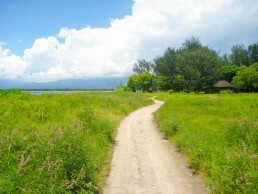 However, more serene Gili Meno suited our taste even better. 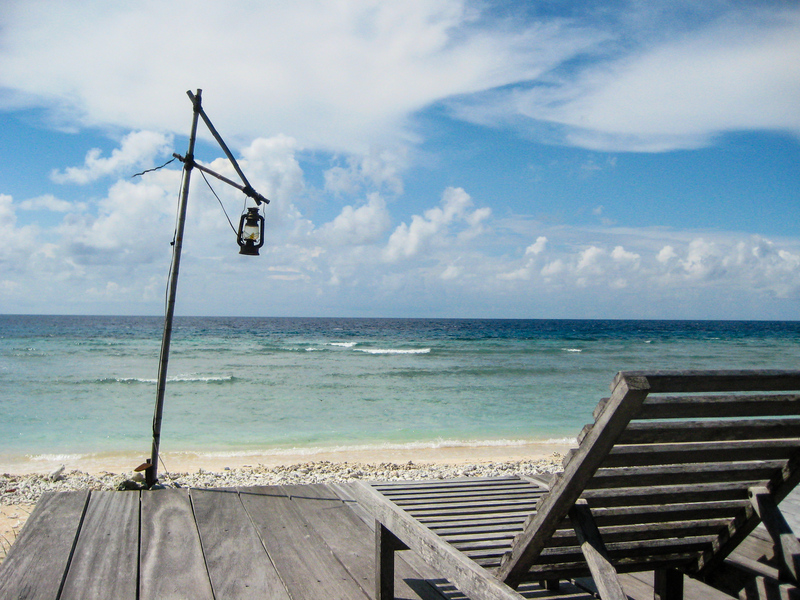 Whereas Meno indeed felt like a quiet retreat like it’s advertised, introducing Gili Trawangan as a party island might be one-sided, since the western part of the island remains still uncrowded. Main drag, where also boats dock, has a cluster of noisy bars and most of the hotels. We stayed in Scallywags Resort, which is slightly south from the action. We liked the hotel in general, but if ever returning, I would choose some northwestern beach hotel. The area is more tranquil and filled with slightly more upscale beach bars, though it’s still a short walk away from the main drag. “Meno” happens to mean action in our odd language called Finnish, but this small islet is the total opposite. With solely 300 residents (Gili T’s number being about 1000) even this 1 km x 2 km stretch of land might feel empty. Staying close to the main drag is a good option as there won’t be any loud music or other disturbance – and you don’t have to cross the island to get a dinner or to see a few people. We chose to stay just beside the harbor in Villa Nautilus, which was the most upscale option by then. Nowadays I would shop around. For us Trawangan meant social life with an old friend we met there, watching sunsets in nice lounge bars by the ocean, and eating out in several international restaurants. On the other hand, our days in Meno were even more laid-back. We woke up, when the roosters decided, drank coconuts for breakfast, snorkeled all day long, and walked back home under the perfectly starry sky after sumptuous dinners at a beach shack. Water is so clear and pristine that snorkeling in Gilis is gorgeous right from the shore, if you know the best spots. 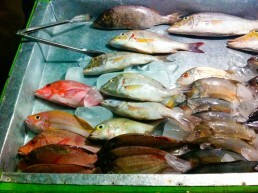 However, snorkeling trip will take you to the real treasures. Since currents are strong, it’s not advisable to swim that far. We tried Trawangan’s best off the beach spots: one a bit north from the harbor (at the main beach) and second on the northeast coast (ask locals the exact places). In Meno, snorkeling was great just outside our hotel (Villa Nautilus) and to the left from it (at the main beach). You can expect to spot several sea turtles, beautiful corals and myriads of colorful fish. 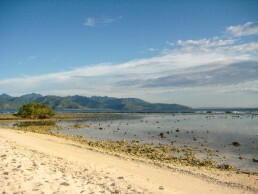 In general Gili Meno offers the best reefs. 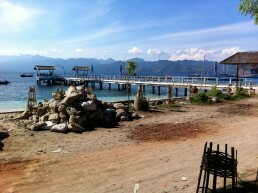 We saw the most stunning corals while touring Gili Meno with a tiny boat and guide. Underwater world was a stunner: it really felt like being on acid. I haven’t encountered that clear water yet anywhere: not in Caribbean, Mexico, Nicaragua or Thailand to name a few of my later disappointments. We visited at least the sites called Meno Wall, Meno Slope and Bounty Wreck. For us Meno Slope was the best place for seeing different species of turtles – and swimming with them. I also remember swimming above huge, colorful round table corals just before we reached a derelict boat, which was teeming with reef life. Our guide Opin told us that he was previously working in now abandoned Bounty Resort, whose former boat it was. One morning they just didn’t see the boat, and found it sunken. Now it’s growing soft coral, and when Opin free dived through the wreck, schools of different sized fish puffed into my eyes. We also stopped to see a coral named as Christmas Tree. I’m not good in fish or coral names, but I do remember playing with a globefish as well. Just a bit further out you could spot mantas and sharks, so longer snorkeling trip will be well worth it, if you have the time and energy. We were happy with this short introduction and trained our newly found turtle spotting skills right off the shore with good results. Masks and fins can be rented from beach shacks, but quality isn’t great, so if you’re picky like us, bring your own gear. 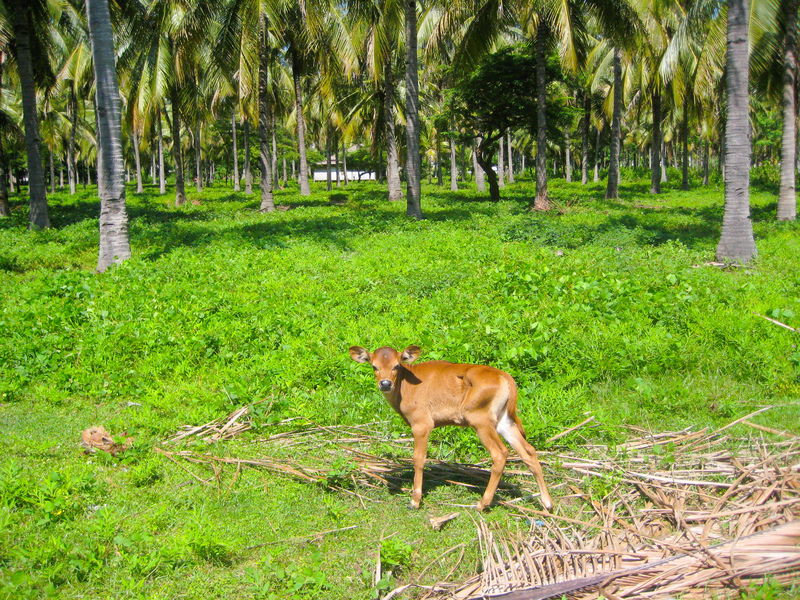 I strongly recommend venturing into inland to see a different side of the Gili Islands – something to deepen your experience of these small island communities. We rambled around to see how locals live in their modest shacks. One mother picked louses from her kids, another sorted out mushrooms in her backyard beruga, kids ran around, and toothless old men sitting outside their houses waved to us. On Gili Trawangan we rented bicycles and circled the islet at a slow pace, stopping to snap photos, grab a beer and adore small turtles at the hatchery. 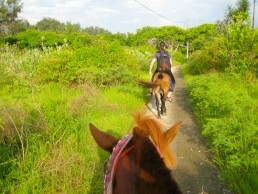 On Gili Meno we were tempted to rent horses and asked from a cidamo driver if he’d knew any horses suitable for riding. Well, those weren’t the best ponies we’ve ridden on our travels, but luckily not malnourished either. 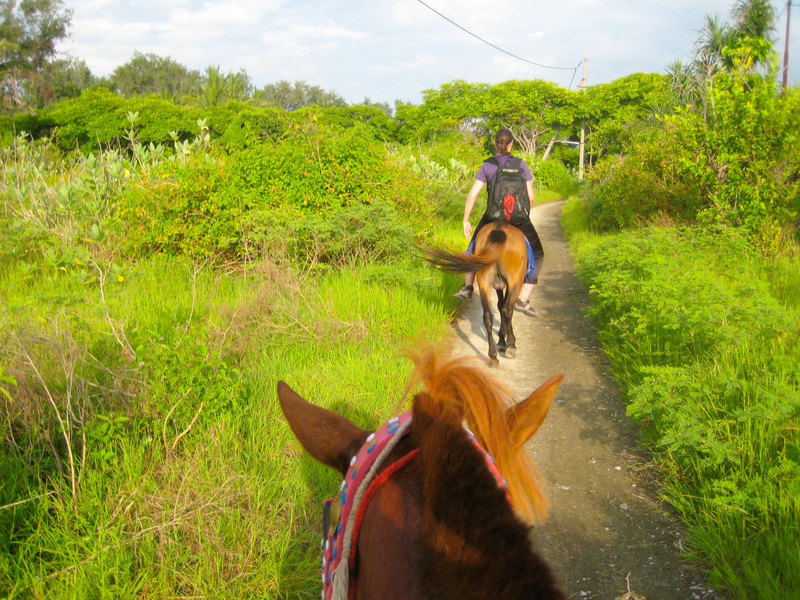 Horses offered an easier means of touring the island in a scorching sun: we saw the swamp, ride past abandoned, eerie looking Bounty Resort and got exuberantly friendly greetings from locals. At Gili Trawangan’s northern stretch there are several nice lounge bars on the sand, which have happy hours around sunset and just after it. In general, northern end of the main street will be quieter than around the jetty. 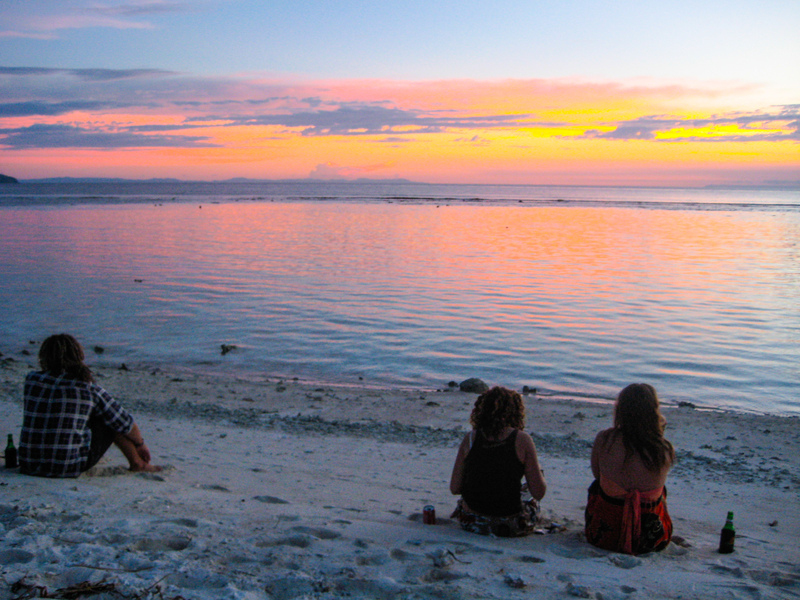 Rent a bicycle and take at least one sundowner at the sunset point (at the southern tip of Gili Trawangan), where people gather every night to watch the sun drop behind the volcanos of Lombok. There are also a few bars on the sand with loungers and occasional bonfires. In Gili Meno any beach bar at the main drag will do; all of them have lovely berugas and the view is the same. If you are staying in north, Sunset Gecko has berugas by the shore.  Neither of the islands is a foodie’s paradise, but from Gili Trawangan, you’ll find the international fare, whereas Gili Meno has only small beachfront cafés serving simple local dishes – and for some odd reason wood-fired pizzas. If you stay a number of nights, you’ll get bored with the selection. We dined out four nights in a row, from which three nights in Ya Ya Warung – I just can’t recommend them highly enough. Food is ridiculously cheap and tasty, so we were tempted to order almost the whole menu one night (I remember ordering at least six main dishes for three of us). Ya Ya is as local as it gets: a simple shack on the beach a bit north of the jetty. You’ll eat sand between toes, while listening locals playing reggae classics with a guitar, singing, laughing and smoking pot. 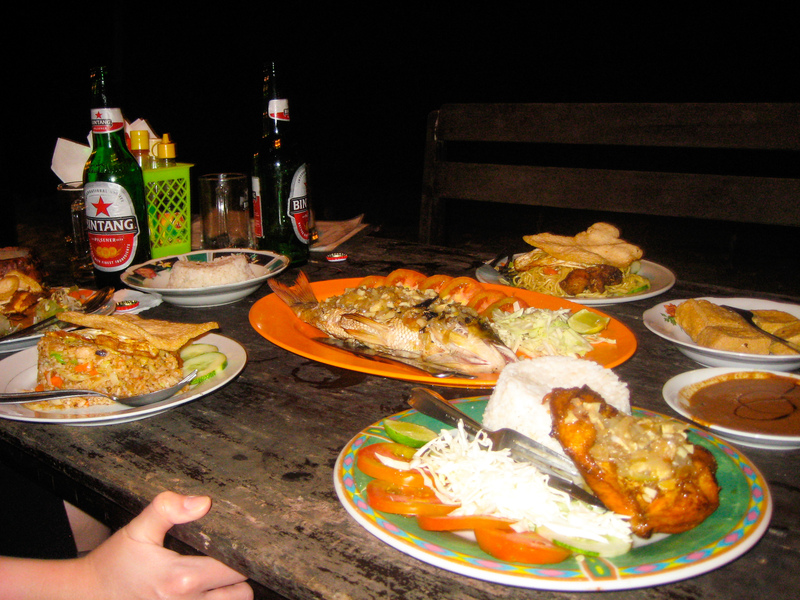 After trying several “real” restaurants on Gili Trawangan, we finally found our way to the food stalls of the main square. This backpacker favorite offers the cheapest food around, so we were a little suspicious at first but were happy to find out that the quality is actually great. 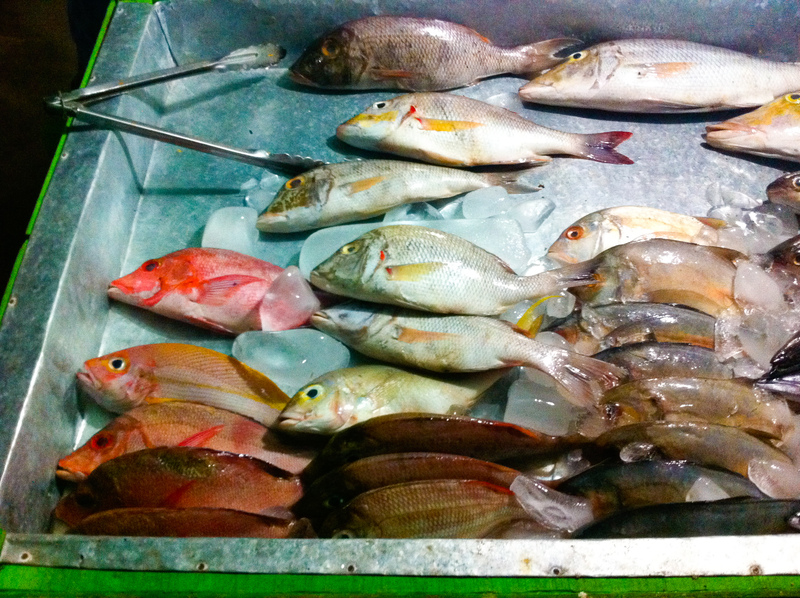 A bunch of local fishers is selling their catch of the day and grilling it before your eyes. 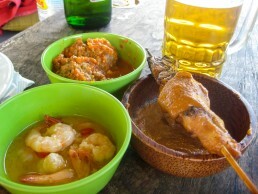 Even carnivores have many local dishes to choose from, like nasi goreng (fried rice), fried chicken, chicken satay, etc. We just love street food, since it’s usually more tasty and original than the restaurant fare and you can eat with locals – at least give it a try. Karma Kayak on the northern side of Gili Trawangan offers mouth-watering tapas with an Indonesian twist – a definite must. Their location is good for snorkeling if waves aren’t too big, and the beach bar has a lovely setting for lazing around few hours. It was where we ate the best chicken satay of our trip: the sauce was perfectly sour ‘n’ smooth, chicken correctly coal fired. 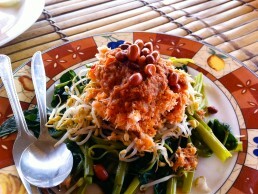 Scallywags Resort offers organic smoothies and the best breakfast we encountered in Indonesia. Against it, their dinner was a disappointment for us (and we gave them even a second chance): food was mediocre and flavorless at it’s best. 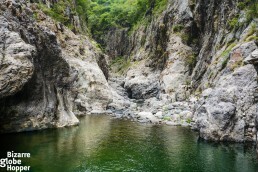 In the magnificent Somoto Canyon in Northern Nicaragua, you can jump from the cliffs and swim in the Coco river amidst a natural wonder. Plunge into the azure waters of Mafia Island Marine Park to admire the healthiest reefs in the Indian Ocean. 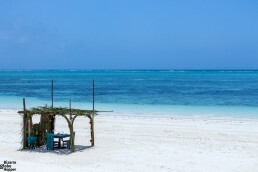 Still isolated Bwejuu beach at the southeastern corner of Zanzibar offers just that elusive retreat you are probably looking for when hearing the word Zanzibar in all of its exotic connotations. 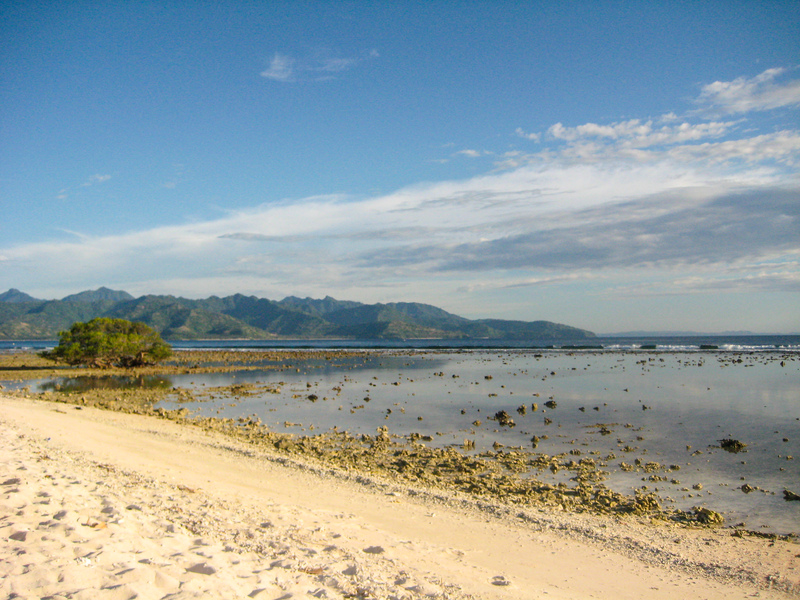 Gili Islands in Indonesia will spoil you with beautiful beaches, turquoise water and world-class snorkeling. 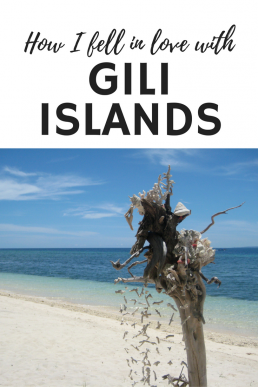 Gilis are touristy enough to offer nice accommodation and laid-back beach bars, yet without huge crowds.